Morning After breakfast and drive to Agra. Arrive Agra and check in hotel. Later proceed for city sightseeing tour of Agra the home of the immortal Taj Mahal, the inimitable poem in white marble is the first expression of love of an Emperor Shahjahan for his queen Mumtaz Mahal. This great monument was completed in 1653 AD. Agra Fort, the imposing structure on the banks of the river Yamuna is replete with priceless examples of craftsmanship in the Mughal period, including the beautiful pearl Mosque; it was designed and built by Emperor Akbar in 1565 AD. Night stay in Agra. Morning after breakfast and drive to Ranthambhore en-route visit Fatehpur sikri, a perfectly preserved red sandstone “ghost town” which was the estranged capital of mughal emperor Akbar, built in 1569 and deserted when its water supply failed. After visit continue drive to Ranthambhore. Arrive Ranthambhore and check-in at hotel. Night stay in Ranthambhore. Morning after breakfast and drive to Jodhpur on the way visit the world famous Jain Temple Ranakpur. The exceptionally beautiful Ranakpur complex is one of the largest and most important Jain temple in India. The main temple is the Chaumukha Temple, or Four Faced Temple, dedicated to Adhinath, built in 1439, this huge, superbly crafted and well-kept marble temple has 29 halls supported by 1444 pillars, no two alike. After visiting continue drive to Jodhpur. Arrive Jodhpur and check-in at the hotel. Night stay in Jodhpur. Morning after breakfast check-out from the hotel and proceed for city sightseeing tour of Prince Jodha founded city Jodhpur- the stronghold of the fierce Rathore clan, in 1459. Visit the Mehrangarh Fort, situated on a low sandstone hill. 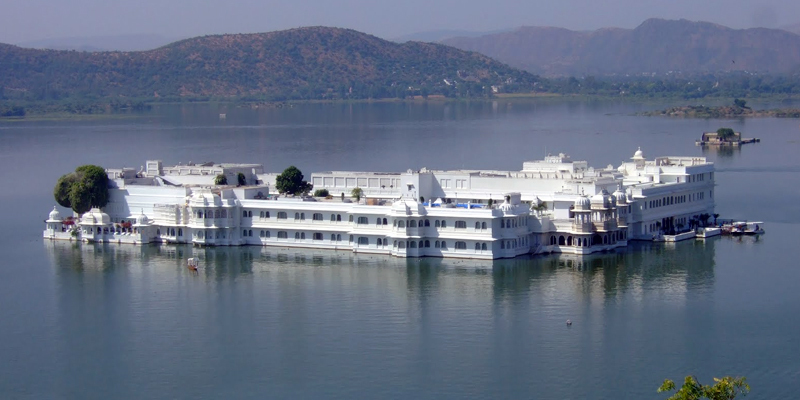 Within the fort, visit Moti Mahal and Phool Mahal. Also visit Jaswant Thada, an imposing marble cenotaph, built in memory of Maharaja Jaswant Singh II around 1899 and Umaid Public gardens. Evening departure transfer to railway station to board the train for Delhi. Overnight in the train.